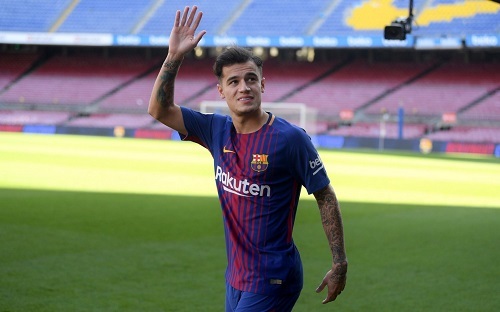 On January 6, 2018, Barça signed Coutinho from Liverpool for €160 million, making him the most expensive transfer in club history, and the Brazilian star signed a five-and-a-half-year contract with a buyout clause of €400 million. His arrival was welcomed by many Blaugrana faithful as part of Barça’s plan to build another great team for many years to come. Unfortunately, a year has since passed and not only has Coutinho failed to impress on the pitch, he is not even an automatic choice in the starting lineup. 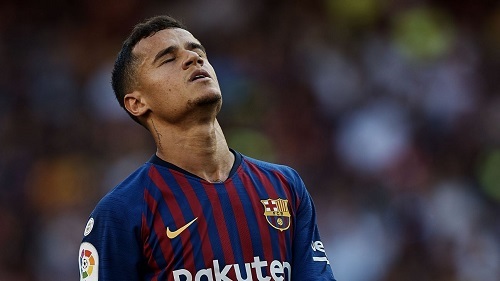 Should Barça consider offers and cash in on Coutinho or remain patient? Last year, I had some concerns about the club going after Coutinho during the winter transfer window. The club had just signed Dembélé during the summer for a vast amount and a few months later, Coutinho was rumored to be the next expensive signing. I wanted to wait and see how the team would look when Dembélé returned from his injury before buying Coutinho. There were already doubts on how the team would function when Dembélé returned from his injury while at the same time, try to shoehorn Coutinho into the team with no proper preseason. A month later, there were grumbles from the fans that Dembélé and Coutinho were not living up to their price tags. Just because their transfer fees were enormous, didn’t mean they were not going to need time to settle. History has shown us that many players need time to adapt to playing for Barça. 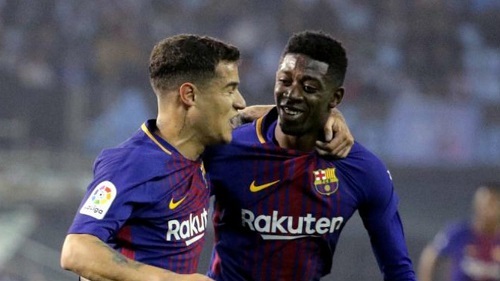 Henry, Neymar, and Suarez took some time before they got going and both Dembélé and Coutinho should have been afforded some time, perhaps half a season, before being fairly judged on their performances. A year later, Dembélé is now considered an automatic starter in the starting eleven up front with Suarez and Messi. Coutinho, on the other hand, has not only failed to earn a spot in the starting eleven; his spot in any lineup is still a mystery. Overall, Coutinho appears to be a square peg trying to fit into a round hole. Under Valverde, we are unsure of what is Coutinho’s best position is. Many hailed his arrival as Iniesta’s successor but it has become apparent that Coutinho is not a midfielder. His few Golazos were not enough to mask his inability to play in the midfield as he either got bullied off the ball often or failed to locate teammates by usually looking down before dribbling towards the box to attempt a thunderous shot on goal. Of course, some supporters claimed that Coutinho was being played out of position. Folks have said Coutinho plays in the same position as Messi, so when Messi went down with an injury in October, I thought it was time for Coutinho to seize his moment and shine. But alas, Coutinho struggled in Messi’s absence and was soon relegated to the bench by Valverde. Earlier this month, I questioned what to do with Coutinho. Valverde has struggled to find the right formation to include Coutinho with Messi, Suárez and Dembélé, and the Brazilians seems destined to ride the bench for now. However, the bench was not what many had in mind when the club broke their transfer record for Coutinho. Ultimately, Coutinho has failed to shine up front, in the midfield, and in Messi’s absence, so it’s not entirely Valverde’s fault. 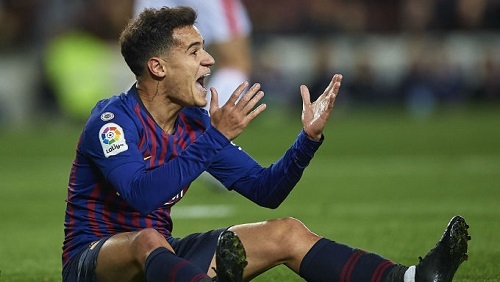 Can Valverde find a way to get more out of Coutinho or will the board live with the fact that they spent €160 million for a substitute? I don’t see the board firing Valverde just to accommodate Coutinho, if he is still getting the results and titles. RMC Sport journalist Daniel Riolo recently claimed that PSG may trigger Coutinho’s €400 million as retaliation to Barça beating them in the €75m signing of Ajax star Frenkie de Jong. Perhaps the club should not shy away from such interest if PSG or other clubs trigger the buyout clause or come in a with a big offer, and Barça use that money to reinforce the team with other signings such as Matthijs de Ligt. Being impatient doesn’t have its rewards, but in this situation, it would be rewarding. Previous PostBarça lose first leg 2-0 in Quarter-Finals Copa clash to Sevilla. Next PostBarça defeat Girona 2-0 in the Catalan Derby.